Its spring break and I don’t know about y’all, but we are going to need a little calm around here! I don’t remember when or how it was that I found Suzanne Tucker but when I did it was all awe and inspiration for me! 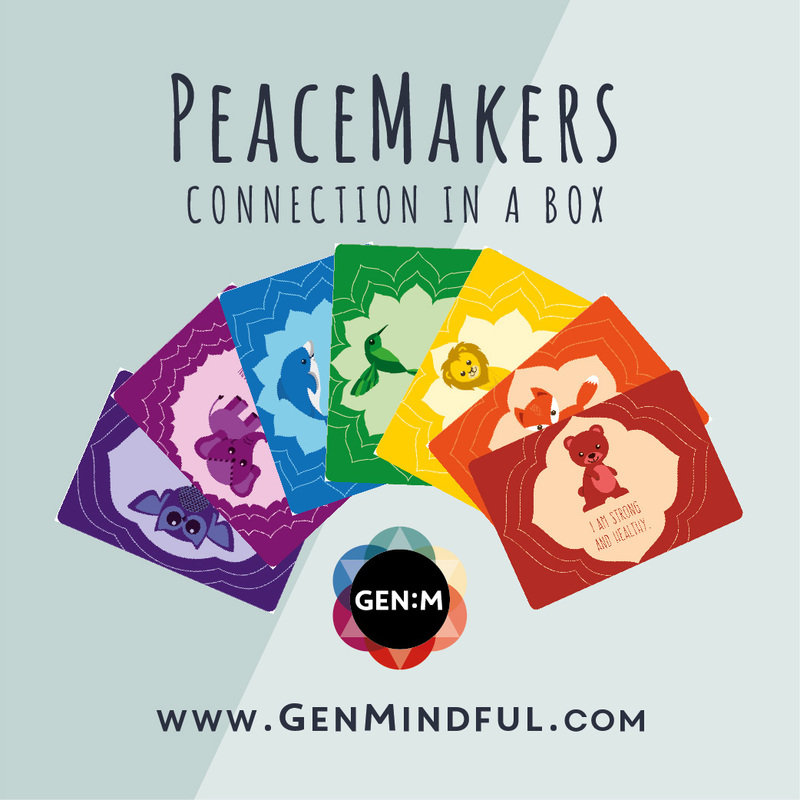 Through her work she has created Peacemakers and now the Time-In Toolkit. Through her generosity she has provided me with a small part of her Time-In Toolkit to share with you via download and this week I am going to share with you how Ella and I use it. But first.. you need your own copy! This is the very same Calming Strategies coloring book that Ella and I use and provided by Generation Mindful! Parents – download and print, cut the pages and let your child choose which strategies they want to use. This workbook provides strategy options for your little ones when they are in the throws of a fit to calm themselves – as part of the “Time-In” toolkit, where little ones learn to take a “time-in” with themselves to explore emotions and feelings. The workbook title page is so important with our name and picture! Ownership is HUGE with little kids, well and big kids too! When we create our Calming Strategies book at home or in class, I emphasize the importance of the child deciding which strategies they want to use – squeeze a stuffed animal, take a big breath, read a book, color, do a puzzle, and several more – to me, this really is the most integral part of the process. I like to lay them out and let them pick which strategies they want to use in their book and then put the others away for another day. This way its their choice as to how they want to work on calming themselves and not mommy or daddy telling them to do something (something that maybe they don’t want to do but we would love to see them do). Not only do they get to choose but they also simultaneously gain that sense responsibility for selecting how they are going to respond. Think of it this way, have you ever had someone tell you to “calm down” when you were upset and tell you to go do something? You may find yourself *slightly* less receptive. But back to the workbook in progress, pull out the crayons and colored pencils and let the kids color away! Adding more ownership to their books. Plus bonus time to discuss each strategy as they color! And the last part of ownership.. drawing and creating the cover to their book! Coloring a picture of themselves or maybe their favorite thing and then writing their name at the top (or help them to!) puts that stamp on it that says this is the book that I have created for ME. Coloring our Calming Strategies and getting creative with it. Once the coloring the done, parents staple the book together for your kids and then practice, practice, practice! Make it fun, take pictures of them doing their strategies. Why?! Because when the time comes to put them to use, your child will already be familiar with them and associate it with all that fun you had doing them earlier! And when that time comes, just ask them to grab their book pick what they want to do and go for it! Maybe it just takes one, maybe it takes more than one, but let them take control with a support from Mom or Dad. And Maybe do it together? Or, Mom or Dad when you are feeling upset or grouchy, maybe YOU model it to them! Squeezing a stuffed animal is always a great way to calm the body and let frustration, anxiety, or anger out. Ella’s favorite strategy has always been take a big breath. She uses this one quite a lot! (more than we would like to admit, but hey, it works) BUT it has been so effective! Enough that her kindergarten teacher has noticed and will send me the “no tears today!” text message that brings a certain sigh of relief from this Mom! I would love to know what you child’s favorite calming strategy is.. or maybe your favorite strategy that you like to use! Comment below or comment over on Facebook as we work through this all week! Next postYoga, connection, and the religious experience.